Line a flat baking tray with parchment paper, place the California walnuts and pumpkin seeds on the tray and roast in the oven for 3 minutes. 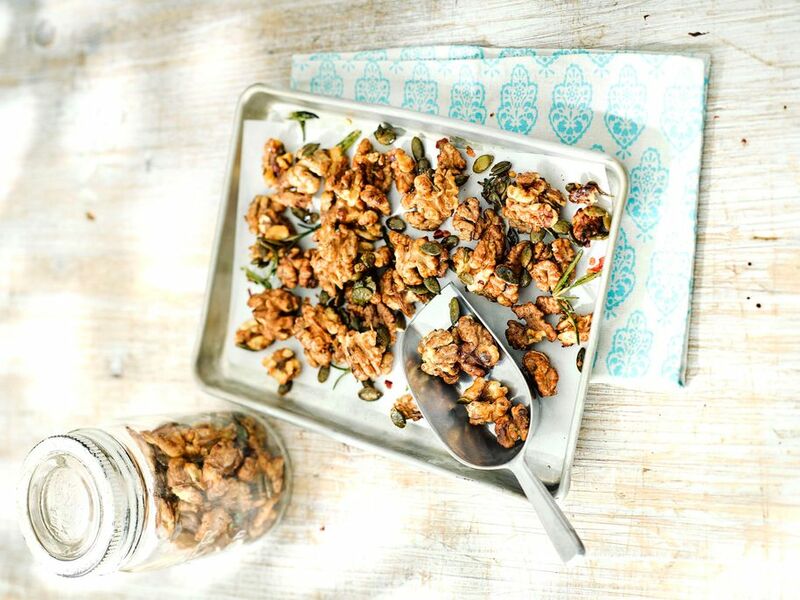 Whisk together the maple syrup, paprika, Tamari soy sauce, rosemary, salt and chilli flakes in a small bowl and drizzle over the California walnuts and seeds, tossing to coat. Place it back in the oven and roast for 5-6 minutes or until toasted and fragrant and store in an airtight container.